I've been seeing a lot of sales from Best Buy lately, but a weekend sale always have a special place in my heart. They have just released one that's valid through Saturday with discounts throughout the store. Bonus: Don't feel like picking up your item at the store? All offers include FREE shipping! I'm seeing markdowns on cell phones, laptops, Apple nanos, HDTVs, tablets, cameras, and appliances. 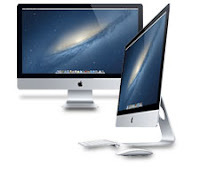 They are even taking $125 OFF all Apple iMacs. I like the NOOK Simple Touch Reader for $50 (reg. $80). Click here to view the sale at Best Buy.